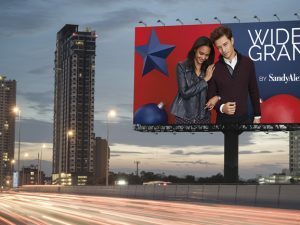 As marketing communications companies continue to adapt to a digital marketplace, so too does Retail Visual Marketing. In order to keep up with the ever-changing industry, all good RVM campaigns must revolve around three consistent trends to strive: creativity, innovation and sustainability. When solutions incorporate all three of these within one campaign, they are highly successful in generating in-store activity along with brand recognition. Keeping up with the current trends is key to launching successful RVM marketing strategies. Tapping into creativity may seem easy, yet so many are unable to. Creativity is not just limited to the solutions possible for what retailers do in-store, such as promotional material in windows, etc. In fact, there are ways for retailers that transcend mall location or online ordering. Pop-up stores, which can be used to implement creative concepts that are not realistic options for retail space, have become increasingly popular in the retail industry. They are also being used to test new products or locations before making a more significant financial investment. Setting up shop for a limited time period, perhaps even just a day, can promote a brand or an item without making a long-term commitment. It also provides retailers with a platform to test a marketing strategy through creative expression, sometimes allowing them to launch “outside-of-the-box” campaigns they would never commit their larger stores to. 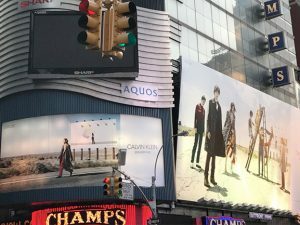 Exciting high-tech designs are increasingly popular, with interactive digital displays providing a solution for brick and mortar stores trying to survive in the new digital age. Tools that are being widely used include in-store and window display tablets, used to engage with customers in new ways. Consumers are able to cycle through numerous retail products and look at photographs of models actually wearing the clothing, similar to online shopping, rather than viewing it on mannequins. But unlike online shopping, they have the added benefit of viewing the actual product in person. Through this technology, brands are aiming to ensure consistency across their products and promote loyalty with their customer base in order to drive in-store sales. 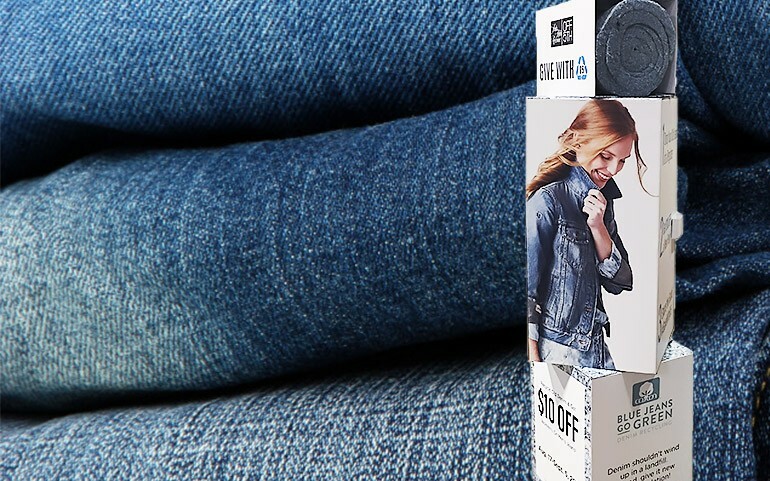 Some brands are adding sustainability features in order back an environmentally friendly philosophy popular in today’s marketplace. In fact, creative and sustainable solutions have recently been designed and installed by Sandy Alexander in Saks OFF 5TH stores nationally. The concept was to have customers donate old blue jeans which in-turn could be recycled into home insulation material. The “Blue Jeans Go Green” initiative distributed the material to organizations like Habitat for Humanity, amongst many more. 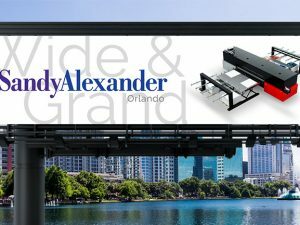 At Sandy Alexander, we have the creative versatility, technology, and sustainable solutions to help our customers keep pace with the trends in retail visual marketing. We can print on any substrate, allowing you immense creative space when it comes to choosing materials and designs. We have an expansive range of creative services including concept development, computer graphics, graphic design, and 3-D printed prototypes. In addition, we are a sustainability leader with eco-friendly substrates. Our Retail Visual Merchandising team has the experience to fully handle the complexity of any project in order to provide a single source for all your RVM needs. If you have any questions about Sandy Alexander’s RVM solutions, contact Sandy Alexander at hello@sandyinc.com or call 973-470-8100.